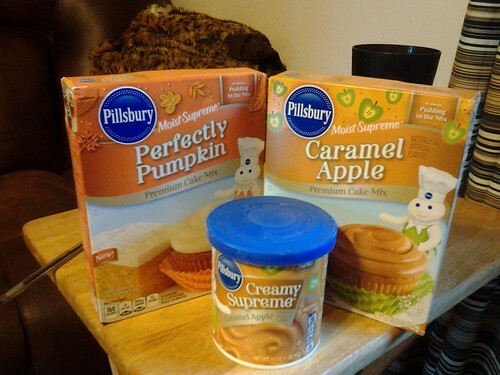 I got a package from Pillsbury with Pumpkin Spice and Caramel Apple mixes plus Caramel Apple frosting. I am looking forward to baking with them! BTW, if you like Dunkin' Donut coffee then check out the Dunkin' Donuts Mug Up Contest.